The goal of this workshop is to bring computer science researchers in security/privacy/cryptography together with researchers in mathematics. We will use information security as a term encompassing security, privacy, and cryptography. Information¬-security researchers employ various branches of mathematics such as number theory, probability theory, optimization, and real analysis. 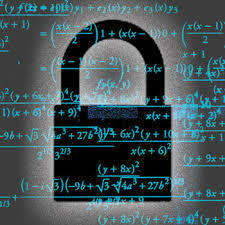 Despite this there is currently very little collaboration between information¬-security researchers and mathematicians. The main focus of this workshop will consist of researchers in information-security presenting the mathematical challenges they face in lattice¬-based cryptography, privacy, and security economics, with an eye towards interesting the mathematicians present, drawing on their expertise, and developing collaborations. The format of the workshop will be designed to foster such collaborations. Information-¬security researchers will give talks about various topics and indicate interesting mathematical problems that arise in their research. Talks will be interspersed with “breakout sessions” that will consist of mathematicians and information¬-security researchers working together. Each session will begin with a short presentation on some mathematical problems that both groups find interesting. At the end, we will collate all the presentations into a slide deck that will be distributed to the participants. We also intend to have a plenary presentation and a panel discussion featuring prominent mathematicians and computer scientists discussing the obstacles to truly interdisciplinary cooperation.